No garden is complete without weeds, much to a gardener's dismay. Weeds are classified technically as any plant growing someplace it isn't wanted. Whether you have tree seedlings sprouting on your lawn, dandelions, wildflowers or grass weeds, determining the specific weed will help you find the right control methods. Midwestern gardeners have several university-run weed guide databases to consult for accurate weed identification. Examine your lawn grass, noting the size, shape and color of its blades. Some grasses can "weed" themselves in with your regular lawn grass. Knowing what your lawn is supposed to look like can help you notice invasive grasses. Search for anything that looks different from your lawn grass. It is a weed. 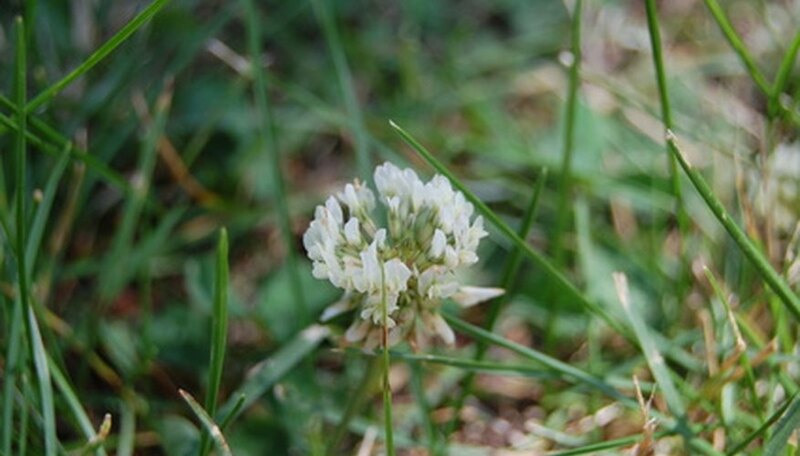 Weeds may be easiest to note when they have flowers; this is true for clover and dandelion. Many weeds, however, do not flower. Record each weed plant's characteristics. Note leaf size, shape, texture and color. Also note how its leaves are arranged along its stem. If it has a flower, list the flower's characteristics, too. Taking pictures of the weeds with a camera is helpful, too. Search Midwestern weed identification guides. Online guides provided by the University of Missouri and Michigan State University are linked in the Resources section. They include descriptions and images of common weeds and are sortable by whether or not a weed has leaves (broadleaf) or is a grass as well as by where the weed grows. View pictures and read descriptions until you find your weed, or weeds. Contact your county extension office or Master Gardener program if you cannot identify a weed. You may have an uncommon Midwestern weed. After you identify a lawn weed, you can apply a proper chemical, or non-chemical, control method to remove it.